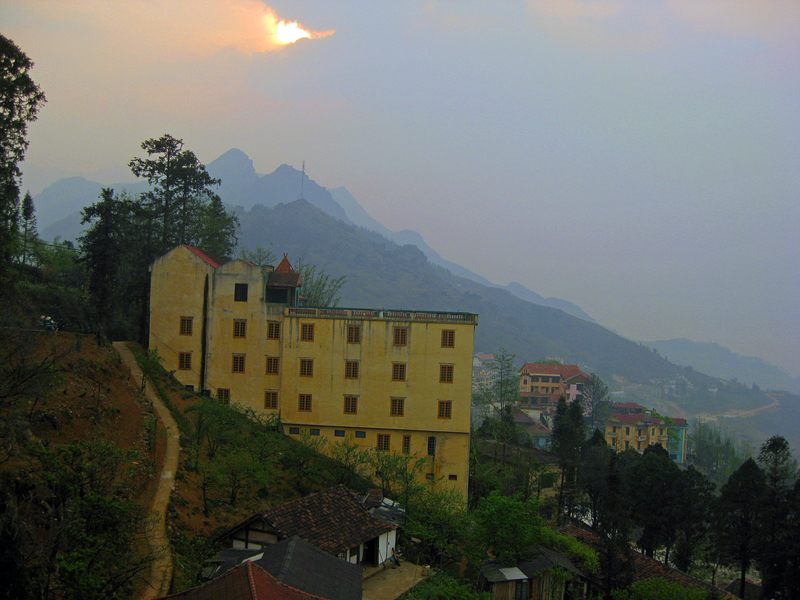 Only 36 km from the China-Vietnam border, and a overnight train ride from Hanoi, lies the quiet mountain town of Sa Pa, which straddles the misty, rice-terraced highlands of Vietnam. 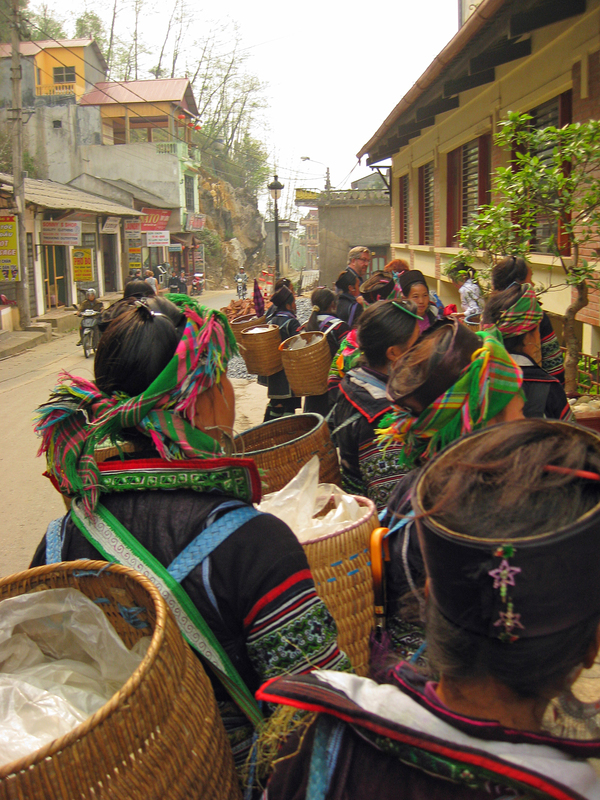 Sa Pa is home to migrant lowlanders and a great diversity of ethnic minority peoples, primarily Hmong and Dao. 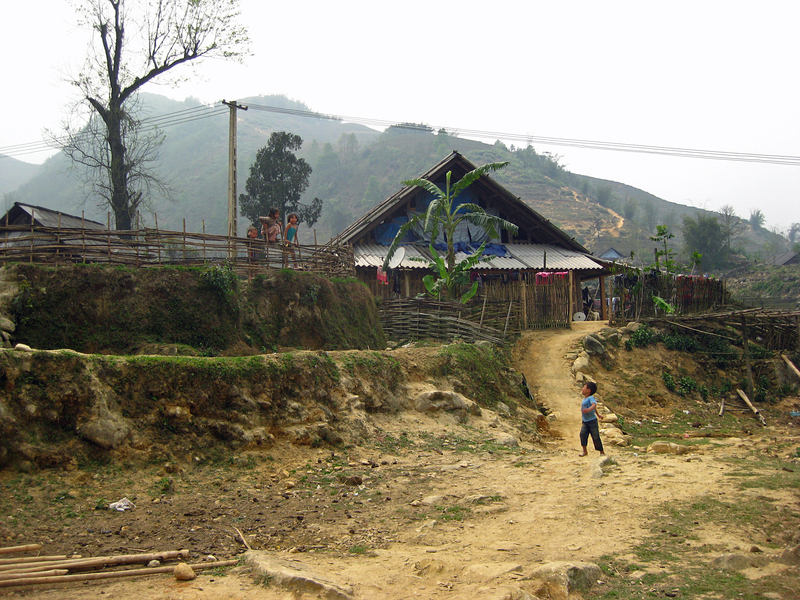 The villagers from areas surrounding Sa Pa live in extreme but extremely picturesque poverty. Electric lines jar unnaturally with the bucolic scenery of bamboo and wood homes nestled in the rocky valleys while water buffalo graze in verdant rice paddies. 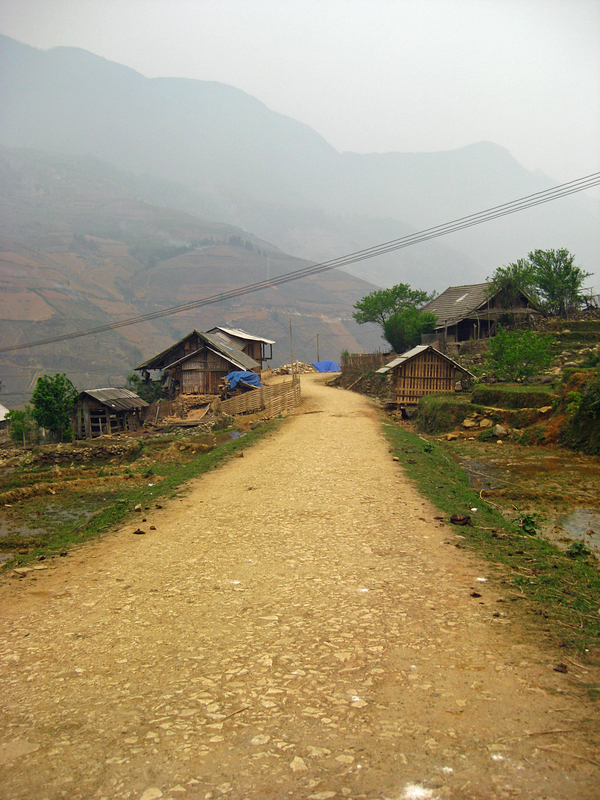 There are hundreds of miles of trekking trails between and around the villages of Lao Cai, Ta Van, and Ta Phin and hundreds more domestic scenes to witness. Naked little boys throw rocks into a stream. Teenagers go about daily chores of feeding the livestock. Women stand in doorways, their hands stained with indigo and busy with embroidery. 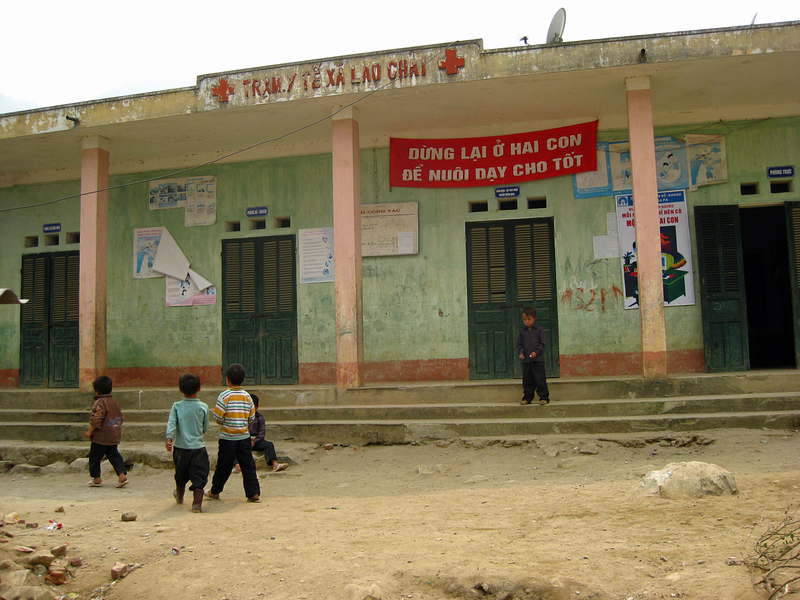 Despite only being a stone’s throw from Sa Pa, these mountain villages seem a whole world away with their own languages, costumes, customs, and ways of life. The best way to explore the breathtaking scenery of this rugged area is to hire a moped or a local guide. We loved trekking with Shosho Laochai! 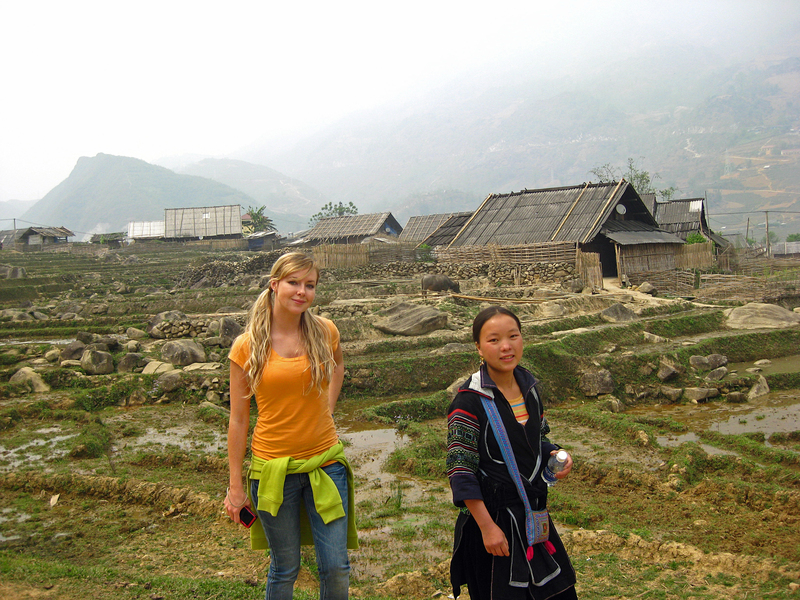 From the Black H’mong people of Lao Cai village, Shosho shares her home and culture with grace and a wonderful sense of humor. Should you decide to partake in a trekking excursion, and you should, you are sure to be joined by self-appointed escorts of the local kind. They may be wearing Nikes or plastic sandals, but they will be proudly dressed in the finely embroidered outfits of their tribes, carrying umbrellas and woven baskets on their backs full of handmade (mostly) knick knacks to sell. 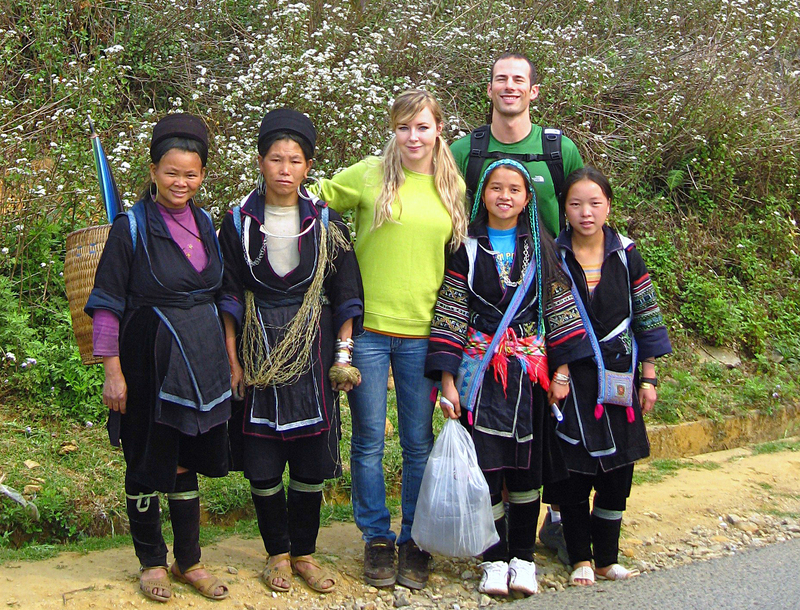 Throughout your trek, they will pose for pictures, smile sweetly, make grass sculptures for you, and sing. 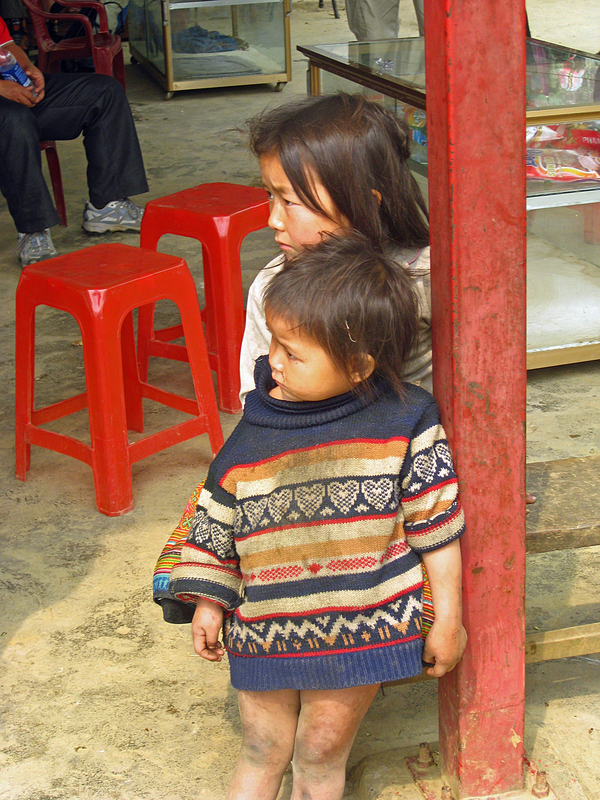 Then, at lunch time, they will harangue you mercilessly to buy their trinkets, and you will. You need two indigo hand-embroidered pillow cases, a side bag, a coin pouch, and a passport carrier anyway, right? 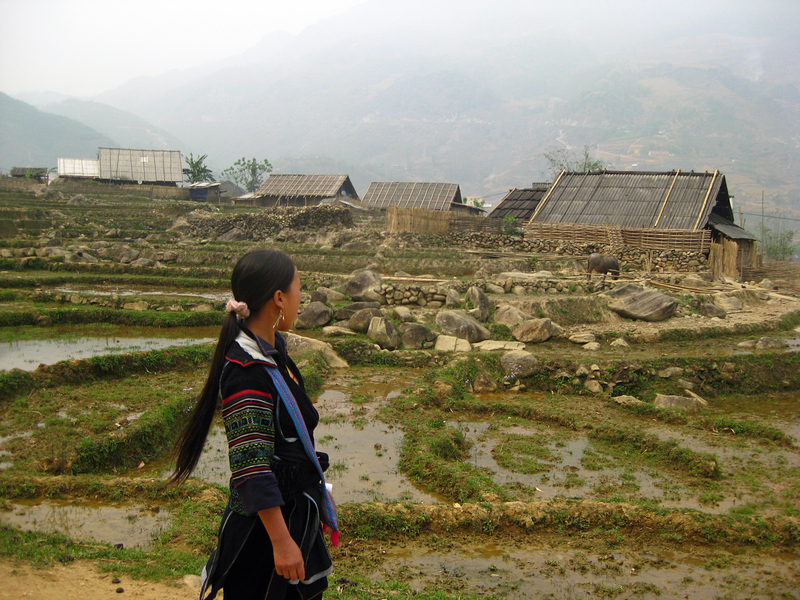 Tags: adventure, Black Hmong, bucket list, culture, destination, explore, H'mong, Lao Cai, Northern Vietnam, Sa Pa, southeast asia, Trekking, Vietnam, wanderlust. Bookmark the permalink. Beautiful picture guys. It was so lively the I felt with you in your trip. Thank you so much for your kind comment! 🙂 You made my day! It must have been fantastic to walk away from the crowds and to be surrounded by nature. The smiles of the people look genuine and truly warm. It must be hard leaving your camera behind. 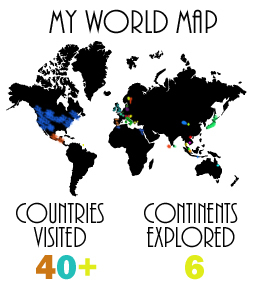 I guess they are some of things that happen on a trip! 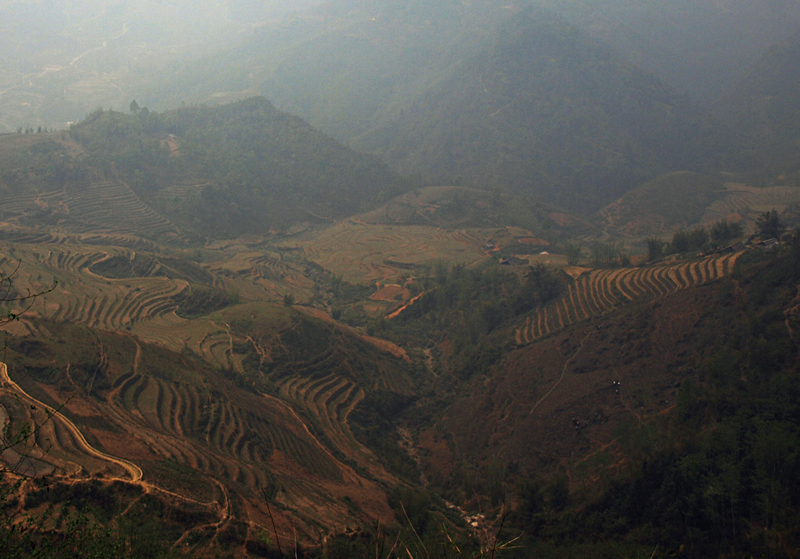 Loved the shot of the terraced fields! Oh thank you!! 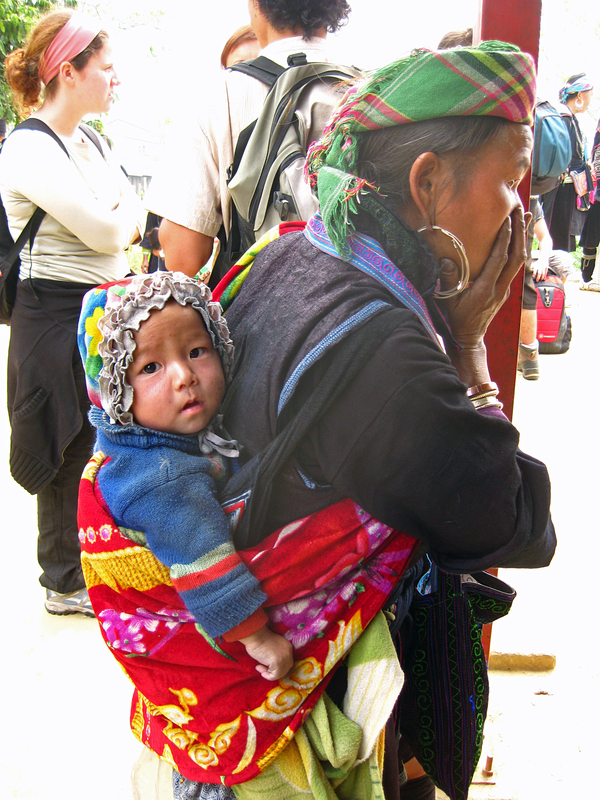 The people were so incredible–beautiful, lively, humble, and proud. I was definitely sick when I found out I lost all my pictures. Memories are great, but tangible memories in photo form are so very precious.